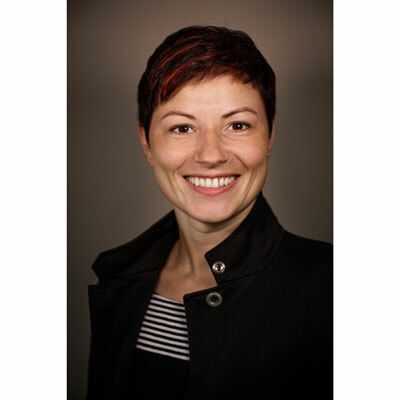 Senior Vice President, Product Management, Intermedia.net, Inc.
Irina Shamkova is responsible for designing and driving Intermedia's product strategy. Over Irina's 17+ year tenure at Intermedia, she has built and led high-performance Product Management, Project Management, UI/UX, and Customer Experience teams and processes. Under Irina's leadership, Intermedia's proprietary product portfolio has expanded to cover a broad yet tightly integrated suite of cloud applications, including Cloud Voice, SecuriSync™ backup and file sharing and Intermedia Email Protection. Shamkova was also integral to Intermedia's significant UCaaS market expansion with the February 2018 launch of Intermedia Unite™. Irina has helped establish Intermedia as a leading channel provider of business cloud applications by overseeing the development of key differentiators that allow partners to sell services under their own brand. This includes pioneering the first brandable web-based control panel to centralize and automate account management and service provisioning. Through integrated portals, partners can educate themselves, generate leads, drive sales and support customers from a single source throughout the customer lifecycle. Irina is a CRN Power 100, along with being one of CRN's Women of the Channel several years running. Irina holds a Masters in Applied Mathematics from Saint Petersburg State University in Russia and has completed the General Management Program at Harvard University. Irina leads a dedicated product team committed to delivering highly customized products ready-made for the channel. This means keeping a constant pulse on what partners need to drive profitability and differentiate. Because of Irina's efforts, the majority of Intermedia's revenue and our fastest growing products are from proprietary solutions like voice and UCaaS. A huge focus area for Irina and her team in 2017 was establishing the foundational backbone behind Intermedia's expansion into the rapidly-growing UCaaS market, including major increases in our UCaaS R&D team. Launched in February 2018, Intermedia Unite™ builds upon Intermedia's vast expertise delivering voice solutions for 20+ years. Intermedia Unite is a UCaaS solution that makes it easy for SMBs to communicate, collaborate, share information. Unite is easy for partners to sell, provision, install, and support, with integrated tools to be more effective and take advantage of the UCaaS market opportunity. Unite includes our next generation full-featured phone system, plus integrated screen sharing, video collaboration, and backup and file sharing - all backed by Intermedia's J.D. Power-certified 24/7 support experts and a 99.999% uptime SLA. The product team also worked closely with the partner marketing team to increase our share of the rapidly-growing UCaaS market. Getting partners their piece of the fast-growing UCaaS market. Intermedia has been making it easy to sell cloud voice for years. Intermedia Unite™ will make it even easier for partners to sell, provision, manage and support not just Cloud Voice, but a complete, integrated and partner-friendly UCaaS solution they can sell under their own brand and set their own margins. Frost & Sullivan expects the NA UCaaS market to experience double digit growth, reaching nearly $15B by 2023. The firm says, "the market is relatively untapped". There's a massive opportunity for partners with the right UCaaS mix. Irina received a 2017 Women of the Channel Award, in addition to being named to CRN's Power 100. Intermedia also won an Xcellence Award at XChange Solution Provider 2017 for Best Vendor Presentation, as voted on by attending partners. Irina co-keynoted this presentation, along with Eric Martorano, Intermedia's CRO. Any woman that's created, expressed, achieved and delivered something meaningful and helpful to society is a source of inspiration. Jane Goodall is a fantastic example of this. Jane knew early on what she wanted to achieve, and she struck out on her own to become an influential world leader and a new voice in redefining the relationship between humans and animals. Her drive and passion for her work has been a source of inspiration for me and many other women that have followed in her footsteps. Be authentic. We're at our best when we're doing what we love and are true to ourselves. Don't let others chart your path. When you are your true self, others around you can feel it. The energy is magnetic. Never stop learning at any age or stage. Change happens quickly. Volunteer and take initiative. Successfully accomplishing a goal that you set out to achieve not only increases your confidence and self-worth, but it establishes you as a person who can get things done. Public speaking. Capturing and holding the attention of a room, whether it be of your colleagues or partners, or executives, is a skill that can always be honed. I love the rush of it all. Mastering the ability to communicate your passions and your drive regarding what you believe in can rally rooms around a cause. Dynamic public speakers can ignite movements. From a professional perspective, "User Story Mapping" by Jeff Patton is a great book to highlight. It helped me and the team to align on a simple & visual practice of gaining a common understanding across geographies, languages & time zones and apply this tool & principles broadly. From a personal perspective, I enjoyed absorbing myself in the symphony of Anna Karenina. Tolstoy is a known master of time, space and language. In this book he shares a broad variety of characters, the depth of human nature, endless layers to peel through, astounding observations of women, men, drivers and motivators.